HMS ElliTM provides reliable intelligence into your total population to improve quality, optimize outcomes, and control costs. Schedule a demo to discover the insights that Elli delivers with early targeting of individuals most likely to benefit from care intervention. Are you ready to explore the population risk intelligence that HMS Elli offers? 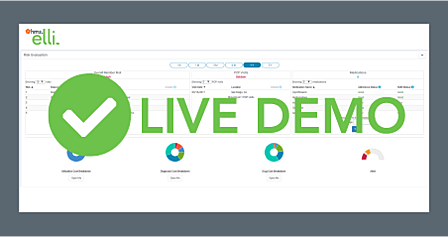 Complete the form to schedule a live demo of Elli. Request a demo today to learn more.